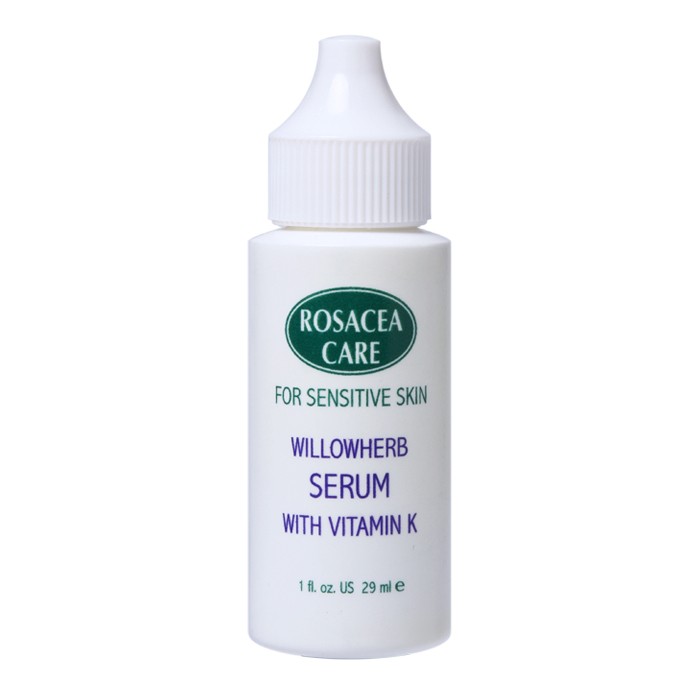 Very rich in ingredients that reduce visible redness. Light in consistency. Soothes and calms while restoring the skin's healthy glow and diminishing the appearance of facial lines. Also contains green tea and grapeseed extracts, which are potent anti-oxidants. It has been Rosacea Care bestseller for almost two decades! Because of its antioxidant properties, it is considered an anti-aging marvel. It reduces the appearance of lines & wrinkles in the skin. The polyphenols in green tea have well-documented skin benefits. Potent antioxidants truly slow down the appearance of signs of aging. Ingredients (INCI): Aqua (Distilled Water), Epilobium Angustifolium (Willowherb) Extract, Cassia Angustifolia (Cassia Betaglycan), Honey Extract, Phospholipids, Sphingolipids, L-Sodium Hyaluronate, Camellia Sinensis (Green Tea) Extract, Vitis Vinifera (Grape) Seed Extract, Phytonadione (Vitamin K), L-Mandelic, Resveratrol, L-Caryophyllene, Selenium, Zinc, L-Glutathione, L-Superoxide Dismutase, Xanthan Gum, Santalum Album (Sandalwood), Cananga Odorata (Ylang Ylang), Citrus Tangerina (Tangerine). Apply at bedtime followed by Moisturizer, Night Cream, Vita-Oil or Facial Gel if maximum effectiveness is desired. Use again in the morning before putting on your natural mineral cosmetics. Shake gently before using.